If your medical record can rightly accommodate a pencil-written diagnosis “shopaholism” with a florid symptom “I don’t know why I need this, but I’m buying it” – I have bad news for you. Most likely, your shelves, buffets and a fridge door strenuously groan under the weight of all the foreign sundries. And it bears no common sense but instead something that we awkwardly justify by a casual remark like “I’ll have something to remember” accompanied by a notable eyes rolling. This sub-sort of the disorder is called “nostalgic shopaholism”. In order to embark on the pass of recovery you need 3-c plan: to calm down, compose yourself and come up with new ideas. Natural trade is believed to be the lead trend in the market for souvenirs. Oh, no, it is not about product sales in unlaid places without necessary permissions… We talk sales of nature here. 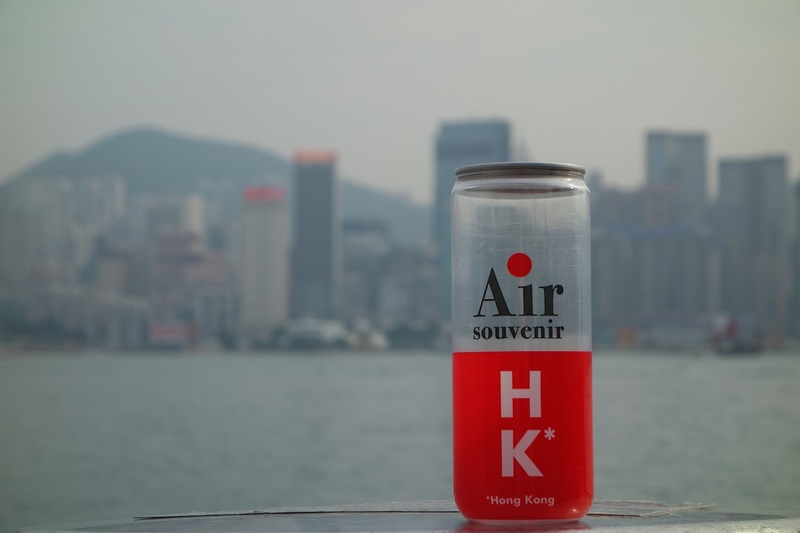 A can with some air that originated in Prague or mountains of Iceland, smog from Los Angeles or even mist from San Francisco can be purchased for a good price. Amazing, how come Europeans, who got unbelievably skillful in terms of commerce, haven’t yet contrived a way to book in advance and sell weather (attention, those who is trying to come up with a startup idea). So far only some of weather’s derivatives are conserved in cans. Needless to say such things have no practical domestic use. But at least this way you won’t have to dissemble you feelings wearing “Be original!” T-shirt. Recently home entrepreneurs successfully borrowed similar idea. Now they cash up incomes from Odessa’s air pigeonholing long-standing sailor shirts with their creative ideas. You said money can’t be made out of air? Well, you’ve put you foot so wrong! Another souvenir cliché, although a much nicer one, are edible shapes of all kinds or simply national delights. And while the same French macarons can be found in self-respecting confectionary like smoke, pen-fried apple in caramel spiced with either fresh larva or piquant mouth is a completely different thing. Hey, gastronomists, don’t forget a candy with a scorpion inside! Not only French candy-makers know how to surprise you but also how to make your hair curl. Have a look at such delight and ethereal vanilla scented France no longer seems to be the most romantic and sophisticated country in the world. 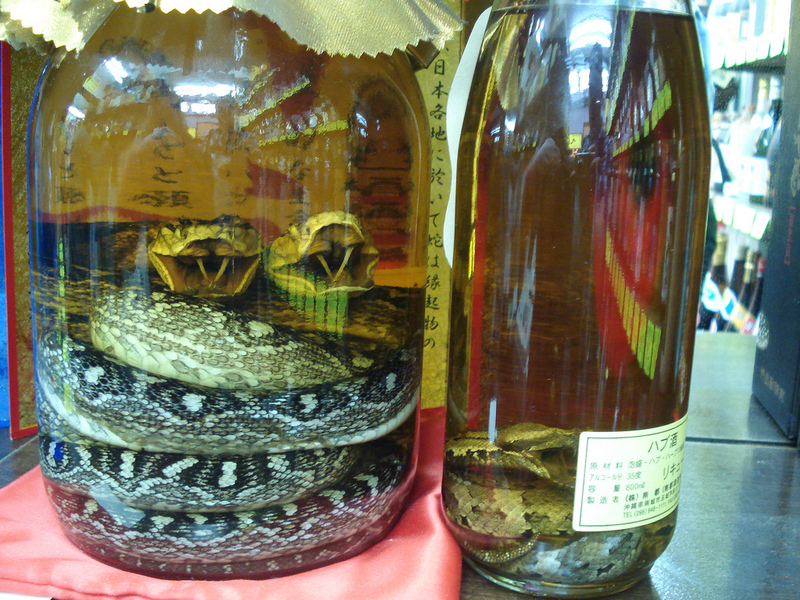 Liquors and infusions with similarly appalling components can be found in Vietnam. Drinks, complemented with dead reptiles like lizards or snakes, are the main feature of local counters. Buy a bottle – get an odditorium preserved in alcohol as a bonus! In case usability and pragmatism matter, bring a fancy headwear or socks from New Zealand. But only provided that by nature you aren’t an exalted and squeamish missy who faints at the sight of a laboratory rodent…Wwithout losing any sleep over conventionalities, NewZealanders make their warm clothes of opossum’s fur. And this animal, no matter how harmless and fluffy, bears suspicious resemblance to an overgrown rat or something. 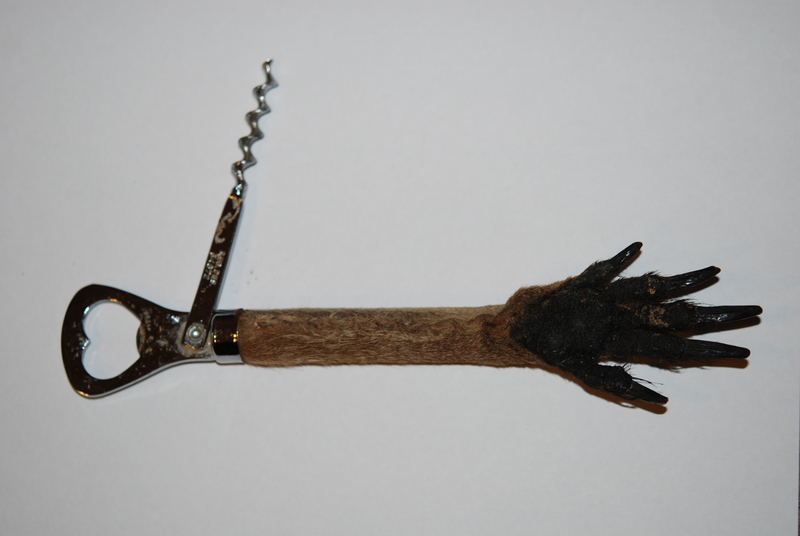 Even more usable thing – bottle opener – can be bought in Australia. Keep in mind, though, that the main material for its production is a kangaroo’s paw. If this doesn’t disturb you, on becoming a lucky owner of a stylized extremity go ahead, post it on Instagram and collect likes. You are 100% sure not to seem a dull lover of souvenirs. However, these remain peculiar oddities. And the reality is that the majority of tourists are not ready to spend on trash. Thus, they’ll queue for cheesy figurines that start losing coating while still in a gift shop. So, have some thinking before spending your hard-won money on efforts of Chinese craftsmen. Might be better to use it to buy yourself another cup of coffee before the flight and relive all the precious moments that are far more valuable than all kinds of junk tokens.